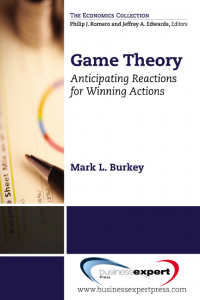 Dr. Mark L. Burkey is a Professor of Economics at North Carolina A&T State University. He has published papers in Microeconomic Theory, Game Theory, and Spatial Analysis in top journals. He has undergraduate degrees in Economics, Banking and Mathematics (minor) from Appalachian State University, and MA and Ph.D. degrees from Duke University. He won the Barry Moriarty prize for the best graduate student research article from the Southern Regional Science Association, and has a YouTube channel and website where he delivers brief (10-20 minute) lectures on Game Theory, Microeconomics, and Statistics (see www.burkeyacademy.com ).